Hugo Beck is the most innovative and specialist for different packaging machines like horizontal form fill and seal machines, side seal machines, shrink film packaging machines, mailing machines, shrink tunnels and various collating systems and feeders. 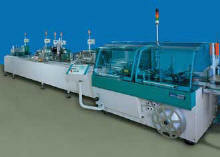 Film packaging machines produce user-friendly, clear film packaging. 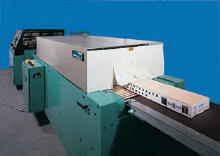 Hugo Beck offers high speed and most innovative machines for print processing. There was a time when a printing product stood alone as a value by itself. Hugo Beck has the technology for this kind of finishing. It can process up to 15,000 magazines per hour, insert advertising supplements, do corner conversions, glue address labels and de-stack.